Seoul (AsiaNews) – The government of South Korea has confirmed that it has cut off power and water supply to the inter-Korean industrial park in Kaesong, the last point of cooperation between the two Koreas, after it had ordered the suspension of trade. The decision was taken after Kim Jong-un’s regime ordered the expulsion of all South Korean workers from the area and sent in troops to seize the complex, just a few kilometres from the border. Tensions are now bound to get worse in the peninsula, which has been divided since 1953. On 7 February, North Korea fired a long-range rocket, claiming it carried an earth observation satellite. South Korea slammed the launch. Saying that the rocket’s purpose was military, Seoul asked the international community to apply new sanctions against the North Korean regime. Pyongyang responded by cutting communication hotlines with the South, and freezing South Korean accounts in a North Korean bank that pays workers in Kaesong. The 280 South Koreans employed at the Kaesong industrial park left taking nothing except medical items. In a statement, the Committee for the Peaceful Reunification of the Fatherland, a North Korean organisation that promotes Korean reunification, called the South's shutdown of the plant a "dangerous declaration of war" that “cuts the final lifeline of North-South relations”. Kaesong had opened in 2004 thanks to the detente policies pursued by then South Korean President Kim Dae-jung (1998-2003). Since then, North Korea has earned about 616 billion won (US$ 560 million) in revenues and taxes. The complex combines South Korean capital and know-how with North Korean labour: 124 South companies employed some 54,000 North Korean workers who produced goods worth approximately US$ 550 million. Along with Mount Kumgang tours, communication hotlines and the Kijŏng-dong (Peace Village) near Panmunjom, the Kaesong industrial park was one of the few links between the two Koreas in the past few years. Despite unpredictable relations between the two sides in the past, this is the first time that all links have been severed. 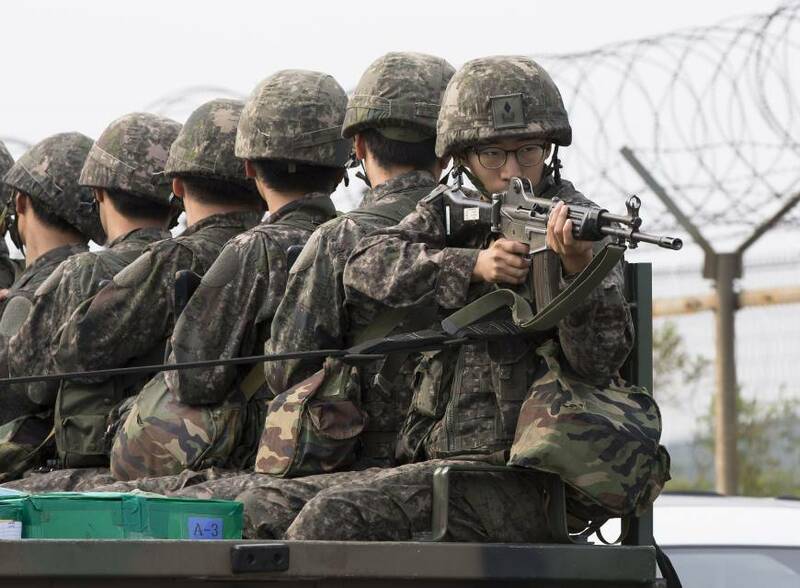 A Catholic source in South Korea told AsiaNews that the situation "is really serious this time. It is like being back to the times of the Cold War: on the one side, there is North Korea with China and Russia; on the other, there is South Korea with the United States and Japan." Several analysts note that relations between Beijing and Pyongyang are apparently back to normal after a long period of diplomatic frost. At the same time, South Korea’s conservative government under Park Geun-hye has repeatedly sought the backing of Japan and the United States for military and diplomatic support at the international level against the Kim regime.